As bitcoin reaches a new low point for 2018, crypto-traders everywhere are looking for somebody or something to blame. Well, a recent report that was sent to me by the folks at Cryptocompare may have stumbled upon something. The CCCAGG Exchange Review takes a good hard look at global volumes on crypto exchanges and where they're coming from. 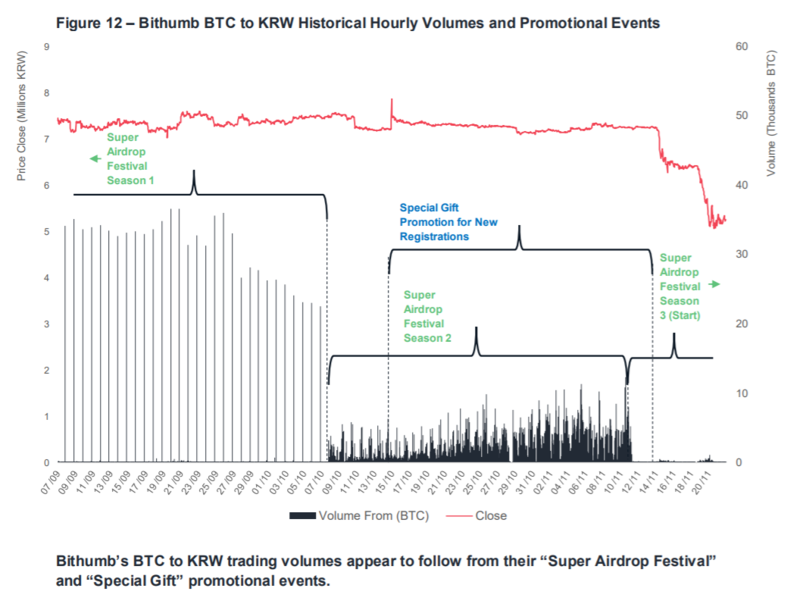 One of the findings of the report is the incredible impact of a series of promotions from the Korean exchange Bithumb. This chart plots out these promotions against bitcoin's price and as you can see, bitcoin's break below $6,000 came shortly after the promotion ended. If these findings are indeed accurate, I would say that blaming South Korea for the drop wouldn't exactly be correct. More likely, it appears that the volume promotion by Bithumb caused several months of stabilization in prices, to begin with. Of course, it's just a theory at this point. True or not, we maintain that all of the recent volatility in the crypto markets has been driven by technical factors. After the breakout of $5,000, we mentioned light support at $3,500, which has now been broken. The next key area of support that is being tested now is $3,000. As we've been discussing in these daily market updates pretty much since I started writing them in 2015, is the enormous effect that central banks have over financial markets. This year's volatility can almost solely be attributed to the fact that the Fed and the ECB are on a path to tighten monetary policy. The obvious sideshow of the global trade war has had a slight impact as well. Well, recent updates from the Fed seem to indicate that they're willing to reconsider this tightening. Last night Chairman Powell delivered a speech that has been largely interpreted as dovish.